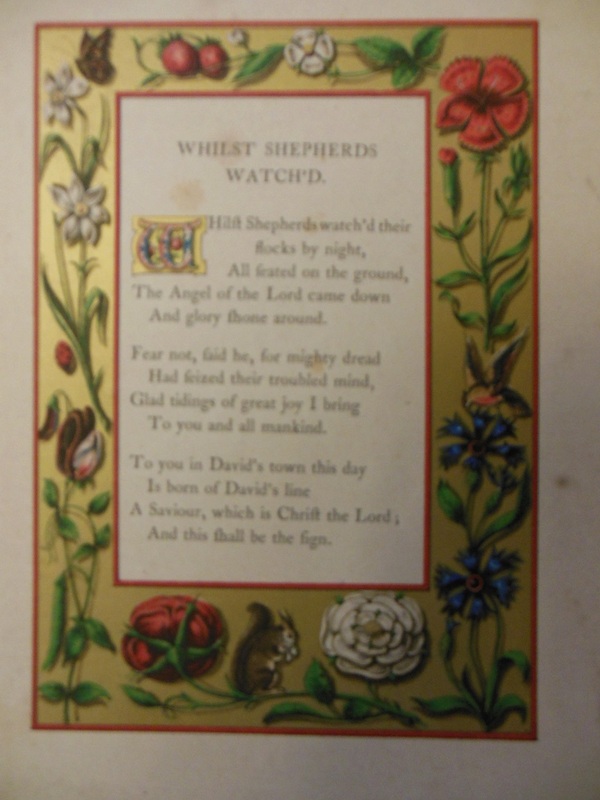 New College Library was pleased to host a visit from the Friends of Edinburgh University Library last week. 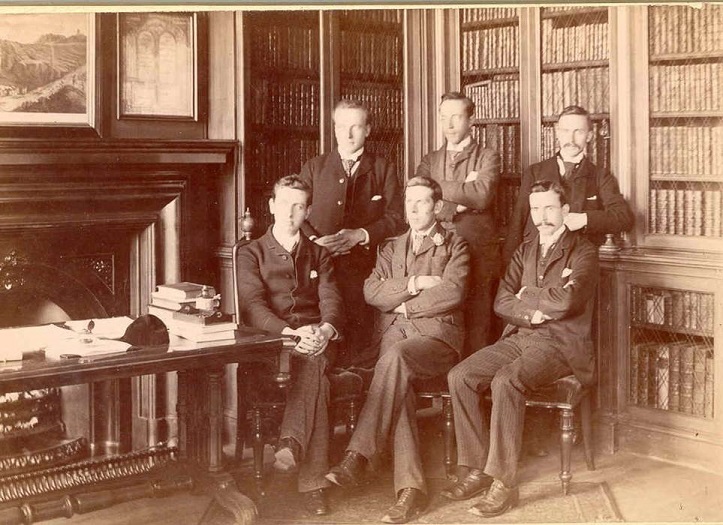 As well as looking at a selection of Special Collections and touring the Library, the Friends listened to a presentation about the history of New College Library, and how this is relevant to work in the Library today. 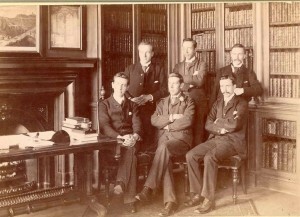 Evidence for New College Library’s history is found in the library building, its shelves, shelfmarks and books, and in the New College Archives. 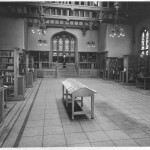 Photographic records from the archives provide evidence of the changing library environment and the changing expectations of library users – there’s not a computer in sight in these images of New College Library from 1946 and 1970. 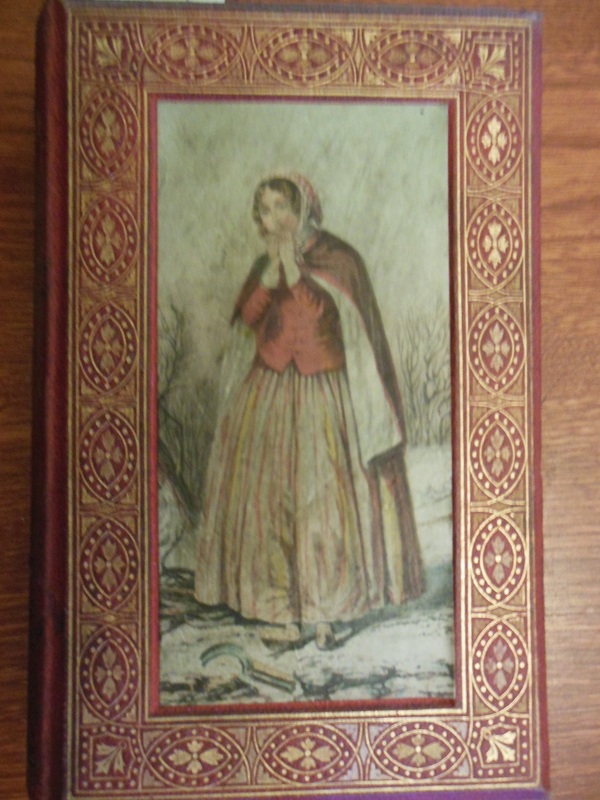 Library history helps us today in making collection management decisions. 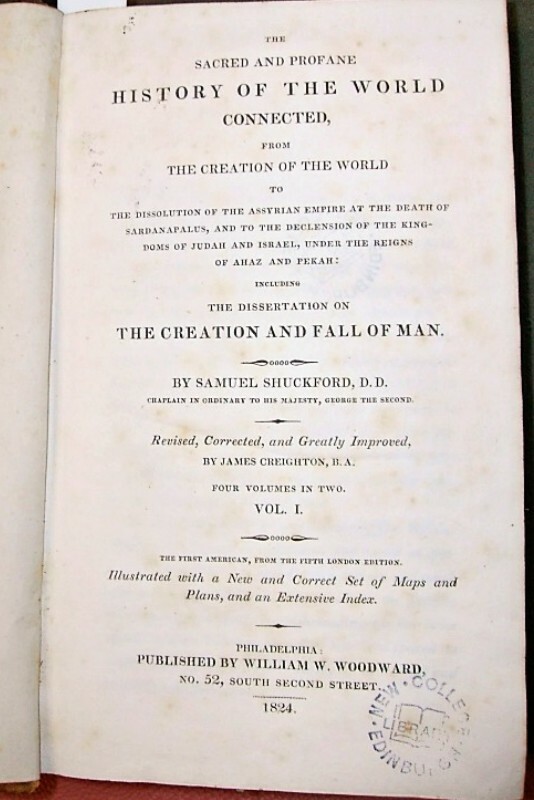 For instance, this ambitious work of history was written by Samuel Shuckford in the eighteenth century, with this nineteenth century edition published as the first American edition of this work. The label inside the book indicates that it was donated to New College Library as part of the first appeal for books that came with the founding of New College after the Disruption of the Church of Scotland in 1843. 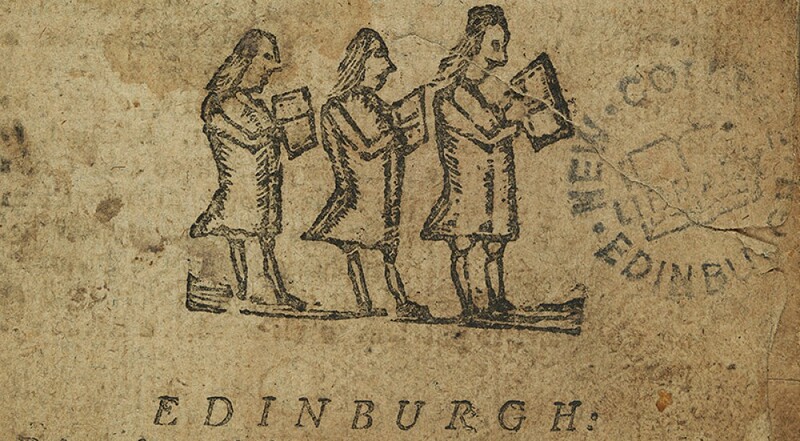 The donor, Thomas Aikman, who had emigrated from Stirling to America in 1794, was clearly following religious affairs in his homeland closely and decided that the principles behind the founding of New College were close enough to his heart for him to donate this book. 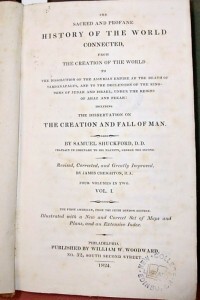 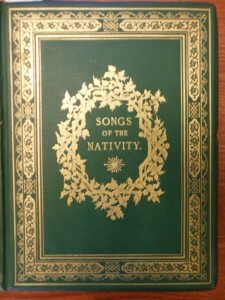 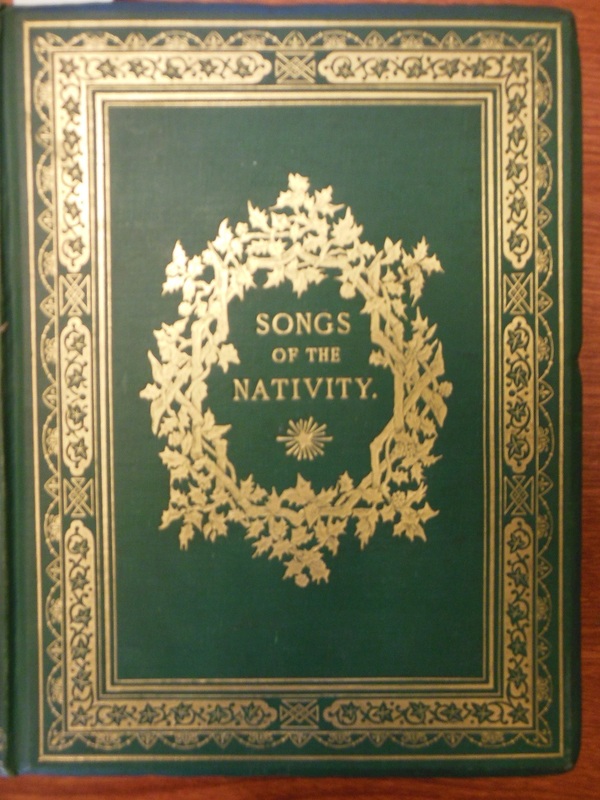 While this work exists in multiple editions across the University, library history unlocks this copy’s uniqueness as evidence of donation to New College Library as an act of faith and the engagement of the Scottish Presbyterian community across the world. 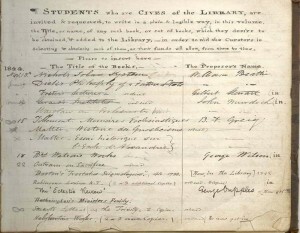 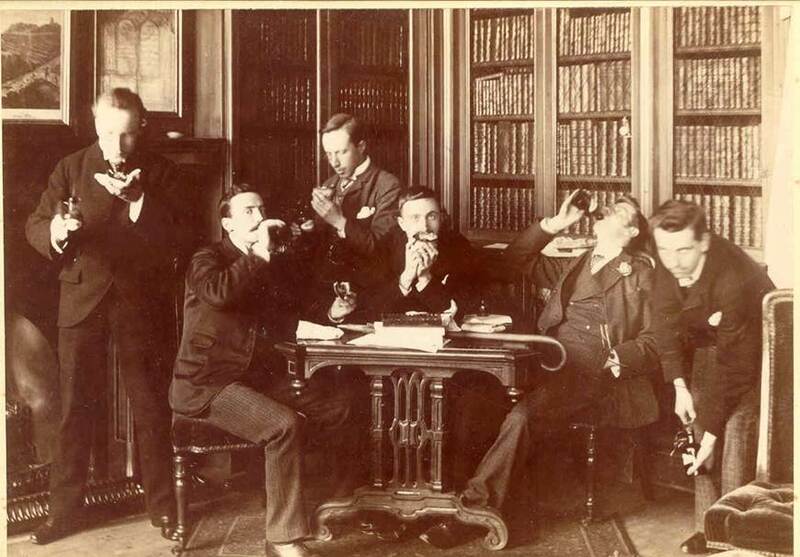 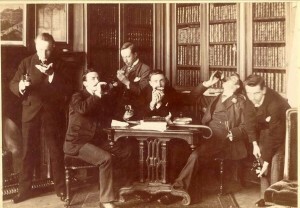 We can also learn from New College’s library history of collection development. 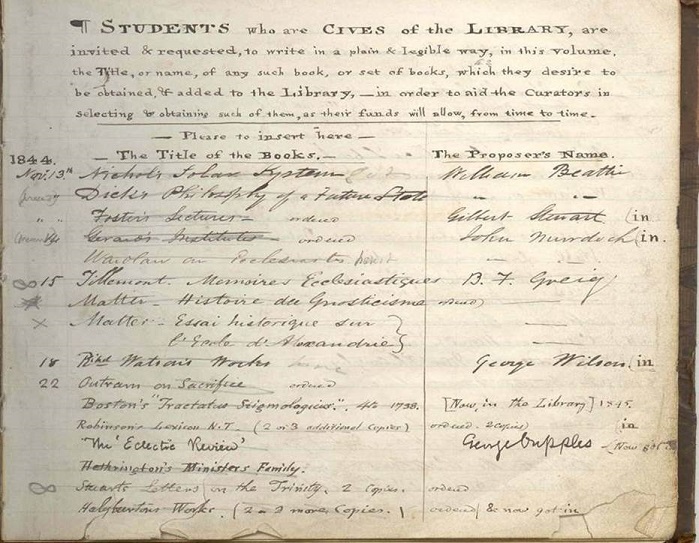 As we continue to develop student-led acquisitions at the University of Edinburgh Library, back in the earliest days of New College Library students were recommending books in this manuscript volume preserved in our archives. Now of, course, students can make recommendations online at http://www.ed.ac.uk/is/book-recommendations. 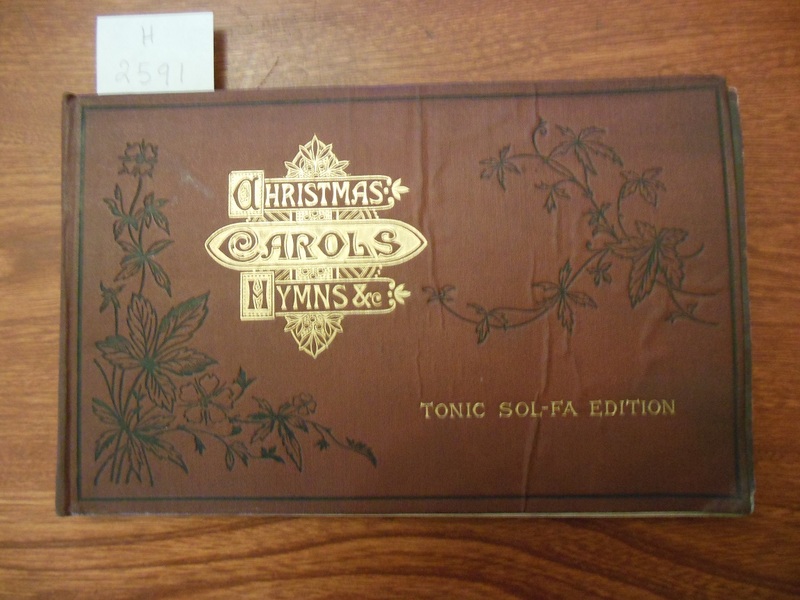 And here they are, presumably finished the cataloguing!